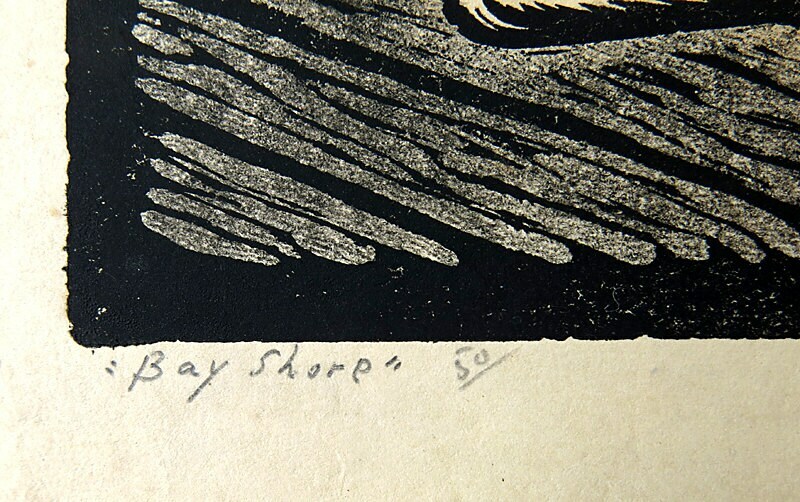 Vintage Signed Wood block Print Gan Kolski Polish-American 1899-1932 "Bay Shore"
"Bay Shore" Wood block print, 11/50. 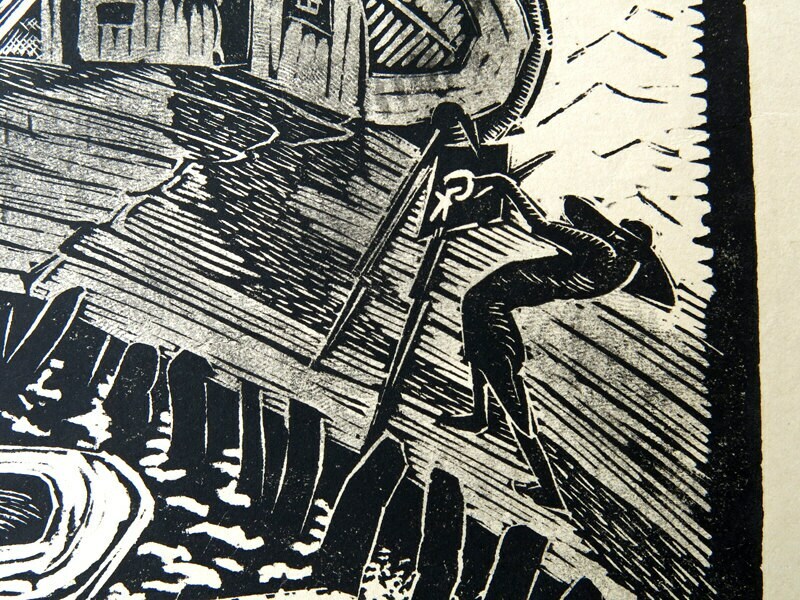 Image measures 12 x 9 inches. Water stain as shown. Note the figure signing the artists initials "GK", Do you remember Spy vs. Spy? Mad Magazine. ABOUT THE ARTIST: "The Polish-born artist Gan Kolski lived in New York City on Horatio Street, near the burgeoning artistic neighborhood Greenwich Village. 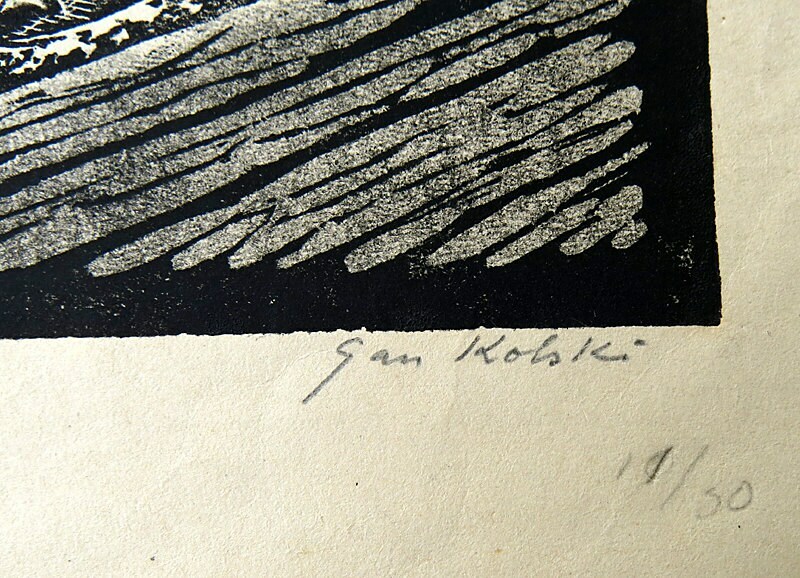 Kolski produced illustrations for the radical left magazine New Masses and participated in exhibitions by the John Reed Club, an organization for Marxist artists and intellectuals. 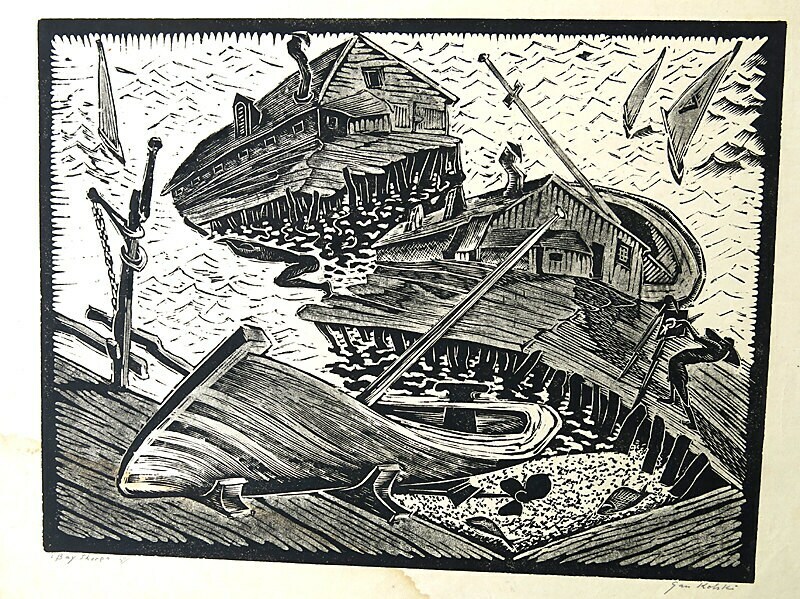 Although Kolski did not become as well known as some of his contemporaries, in part because his career was cut short by suicide at the age of only 33, his prints are an excellent example of the social realist aesthetic of the era."